Small Hoop Earrings. 20mm Hoops. Sterling Silver. Rustic Oxidised Sleepers. Minimalist Jewellery. These small hoop earrings are made from reclaimed and recycled sterling silver and are ideal for sensitive ears. 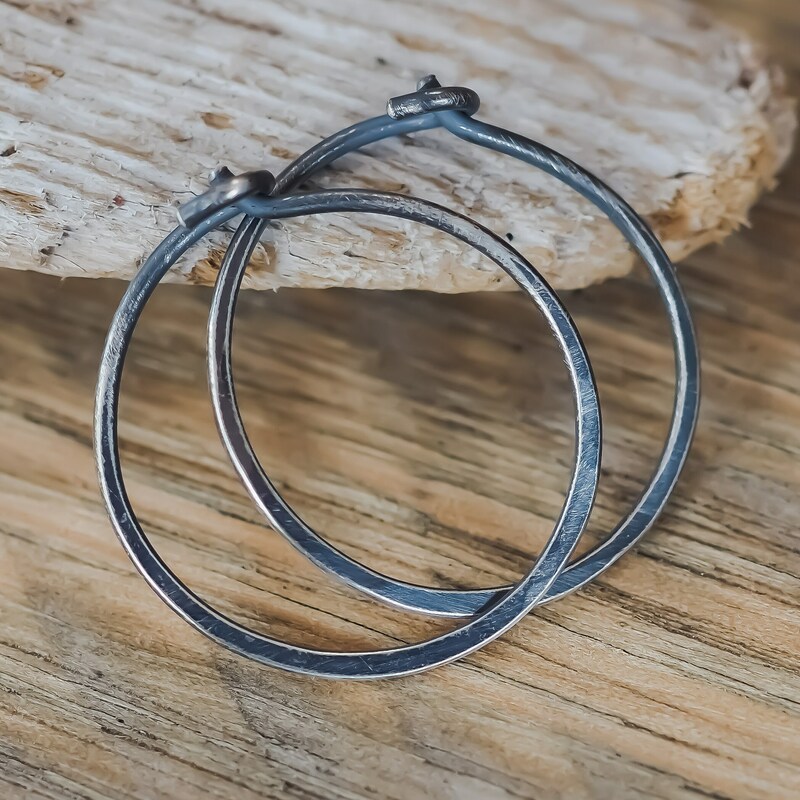 These classic hoops will be your 'go to', everyday, every occasion earrings! These hoops are so light and comfortable you will forget you are wearing them. They have a very fine thickness of just under 1mm or 19 gauge wire and are 20mm (25/32") in diameter. Finish - Rustic Oxidised. (Oxidisation is a safe surface treatment which softens over time). Large Hoop Earrings. 30mm Hoops. Sterling Silver Earrings. Modern Hoops. Minimalist Jewellery. 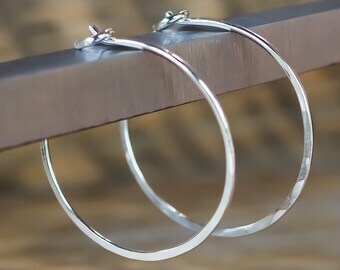 Medium Hoop Earrings. 25mm Hoops. Sterling Silver Earrings. Modern Hoops. Minimalist Jewellery.